This innovative upright Bechstein B 112 Modern was designed in Saxony by engineers at our unique piano competence center. Bechstein, a modern legend. The Bechstein B 112 Modern upright piano is a sound sensation! The entry at the highest level into the Bechstein piano world. This piano amazes with its phenomenal sound volume as well as its compact, convenient size. The Bechstein B 112 Modern upright piano has all the technical qualities of the great Bechstein piano tradition. The Bechstein B 112 Modern upright piano is an eye catcher with ideal proportions. It is certainly the best of the compacts: One can fall in love with each line and each model. The Bechstein B 112 Modern upright piano is a feast for music gourmets, packaged in a fashionable – yet timeless cabinet design. An upright in the spirit of the metropolis: attractive, modern, groundbreaking. The Bechstein B 112 Modern upright piano inconspicuously imprints the central point of your home and life. Understatement for the discerning.Such a top piano is the signboard for good taste in music, a “must have” for the connoisseur of noble interior design and the musical gourmet. Bechstein piano manufacturing effectively integrates several key components of premium grand into the pianos. Thus, Bechstein pianos have been regarded from the beginning as the non plus ultra. The line Bechstein combines upper class with an exceptionally good value for money. Made in Germany, made by C. Bechstein. You want to practice now and then, without anyone hearing you? 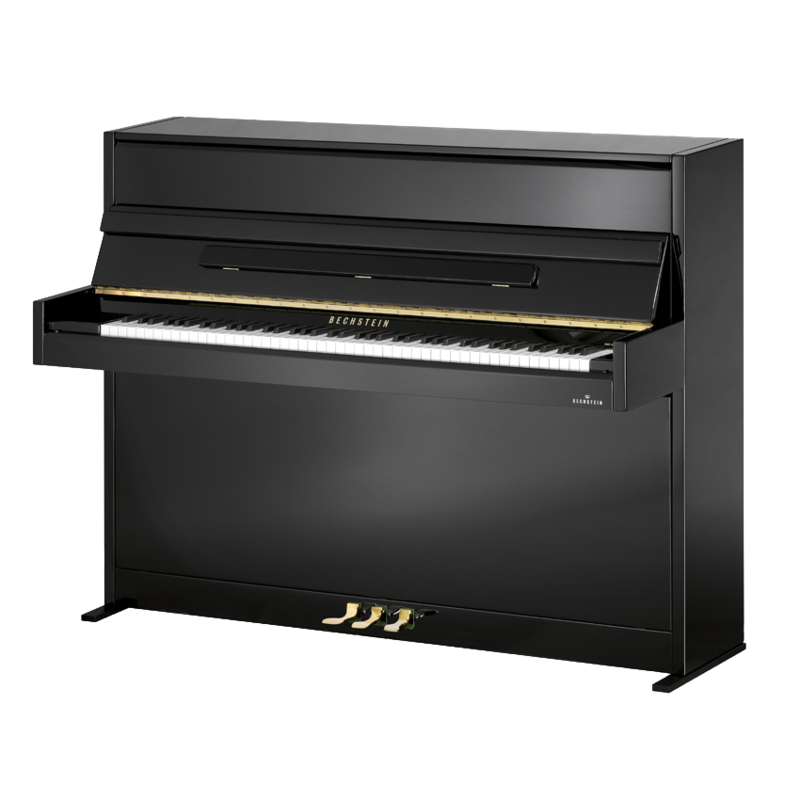 The Bechstein B 112 Modern upright piano is also offered with the Vario System, which allows you to play piano any time, day or night, without disturbing neighbours or roommates.